Hezbollah operatives were working inside a cross-border tunnel when it was exposed by the Israeli military, the IDF spokesperson said at a press conference, showing footage he said was filmed mere hours earlier inside the underground passage. In the video, which was filmed by a small Israeli military robot, two men could be seen walking into the tunnel from the entrance inside Lebanon on Tuesday morning, hours before the army announced that the tunnel had been located and would soon be destroyed. One of the men can be seen approaching the robot, which sets off a small explosive device, scaring them away. 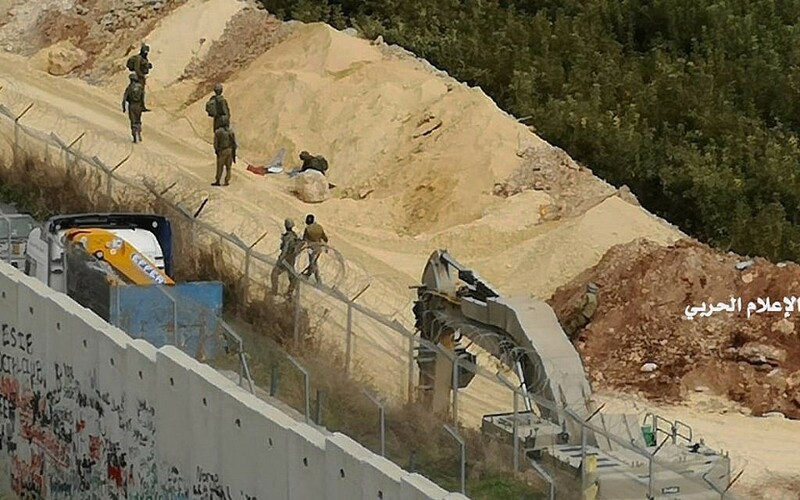 The Israel Defense Forces said the tunnel, which extended some 40 meters into Israel, was the “first of what are sure to be many” attack tunnels dug by Hezbollah across the border from southern Lebanon discovered as part of a newly launched operation, known as Northern Shield. According to the Israeli military, the operation is expected to last several weeks and is being led by the head of the IDF Northern Command Maj. Gen. Yoel Strick. “The operation will continue until the outcome is achieved, however long that may take,” Prime Minsiter Benjamin Netanyahu said at the same press conference addressed by the IDF spokesperson at the Defense Ministry in Tel Aviv. The military deployed reinforcements to northern Israel as a precaution in case the Iran-backed Hezbollah launches retaliatory strikes or raids in response to the operation. The army also called up a small number of reservists, from combat engineering, air defense, and administrative units. “This morning we initiated action to thwart Hezbollah’s intrusion into our territory, to improve our security reality in the north… to strike and to continue to strike Iranian entrenchment in the north,” Eisenkot said. According to the IDF spokesperson, Brig. Gen. Ronen Manelis, the tunnel that was uncovered on Tuesday originated under an ostensibly civilian building, meters away from a position controlled by the UN peacekeeping force UNIFIL, which is meant to ensure that armed groups other than the Lebanese military stay away from the border zone under UN Resolution 1701. Israel has long been critical of what it describes as UNIFIL’s failure to rein in the powerful, Iran-backed Hezbollah terrorist group, which the IDF says maintains a large arsenal in the area despite Resolution 1701. Manelis also presented footage captured by the IDF from above Lebanon, which he said showed Hezbollah using civilian trucks to hide the dirt and rocks from the excavation of the tunnels. 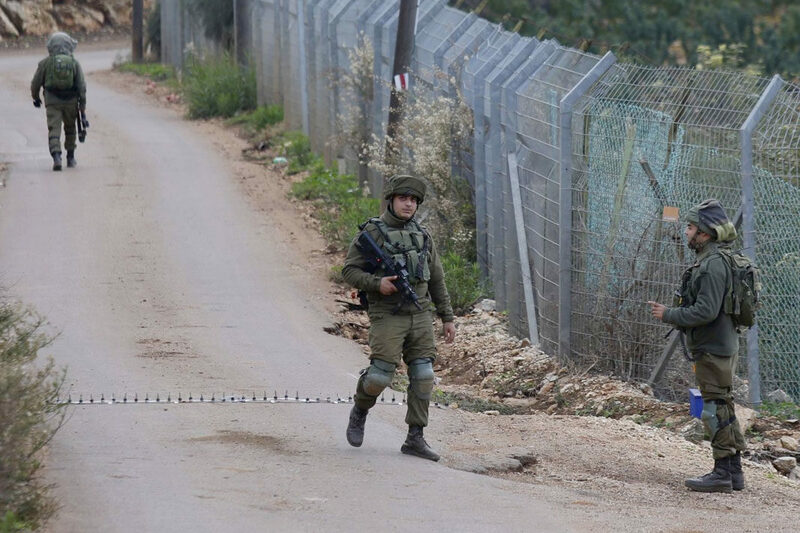 According to the IDF, the tunnel originated in the Lebanese village of Kafr Kila, near the Israeli border, and was approximately 200 meters (650 feet) long. It was dug some 25 meters (80 feet) below ground and was approximately two meters (six feet) tall by two meters (six feet) wide, which would easily make it large enough for heavily armed to pass through it. The tunnel contained a ventilation system, electricity, and communication lines, the army said. The army chief said the heads of communities in northern Israel were informed of the operation ahead of time and lauded them for showing “responsibility” by not revealing that it was poised to take place.